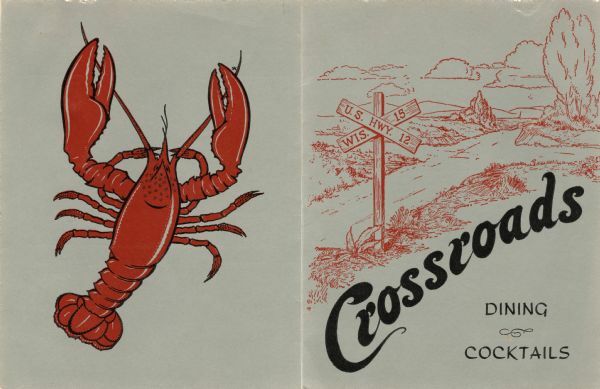 Dinner menu from the Crossroads, "Food Served At Its Best," with a view of the road and a wooden crossed highway marker for the junction of U.S. Hwy. 12 and Wis. 15 on the front cover, and a red lobster on the back cover. For the interior of this menu, see Image ID: 109255.